Cape Coast (Cabo Corso) seen from Cape Coast Castle. The fishing port is the capital of Ghana's Central Region. The country covers an area of 238,533 km², making it slightly smaller than the UK, or also slightly smaller than the U.S. state of Oregon. Ghana's terrain offers mostly low plains with some scattered hills criss-crossed by rivers, and there is Lake Volta, the world's largest artificial lake. Mount Afadja (or Mount Afadjato) is Ghana's highest peak with just 885 m (2,904 ft). The hill is located in the Agumatsa Range. Main rivers are the Black Volta, the Red Volta and the White Volta, they merge into one river Volta, which has been dammed at Akosombo to form Lake Volta, the world's largest artificial lake. Ghana's population of almost 28.3 million inhabitants (in 2016) is divided into some 75 ethnic groups. The most densely populated parts of the country are the coastal areas, the Ashanti region around Kumasi, the Ashanti capital. Capital and largest city is Accra. Spoken languages are English (official), and Akan (Twi–Fante), and about seventy more West African languages. Location: Western Africa, bordering the Gulf of Guinea, between Cote d'Ivoire and Togo. 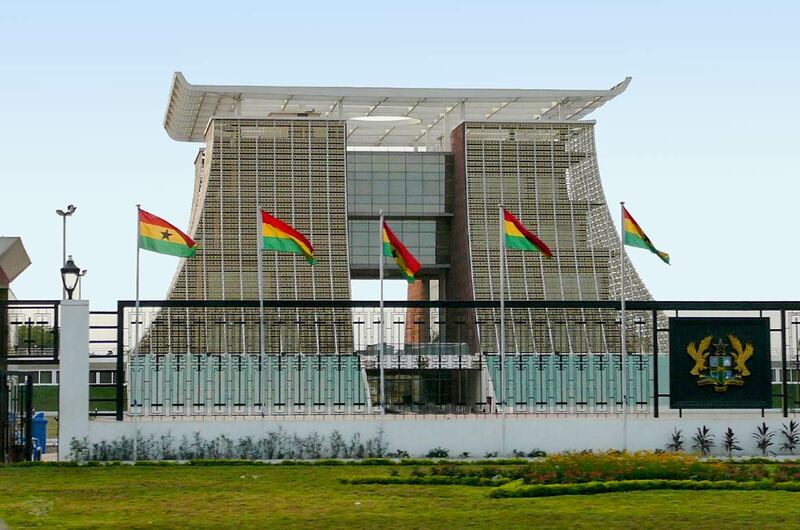 Ghana's Presidential Palace, the 'Flagstaff House', formerly known as Golden Jubilee House in Accra, capital city of Ghana. Ghana is considered one of the more stable countries in West Africa. The nation maintains a constitutional presidential multiparty democracy. Chief of state and head of government is the president. Executive power is exercised by the government. Legislative power is vested in both the government and Parliament. The Official Website of the Republic of Ghana. Office of the President of the Republic of Ghana. The Parliament of Ghana website. Official website of Ghana's Ministry Of Foreign Affairs. Ghana's Permanent Mission to the UN. Embassy of Ghana in The Hague - Netherlands. Embassy of Ghana in Washington D.C.
Embassy of Ghana in the United States. List of Ghana Missions Abroad. A list of foreign representations in Ghana. Searchable map and satellite view of Ghana. Searchable map and satellite view of Ghana's capital city. Ghana enjoys a high degree of media freedom and the press and broadcasters operate without significant restrictions. Major news source with news, commentaries, business, sports and entertainment. 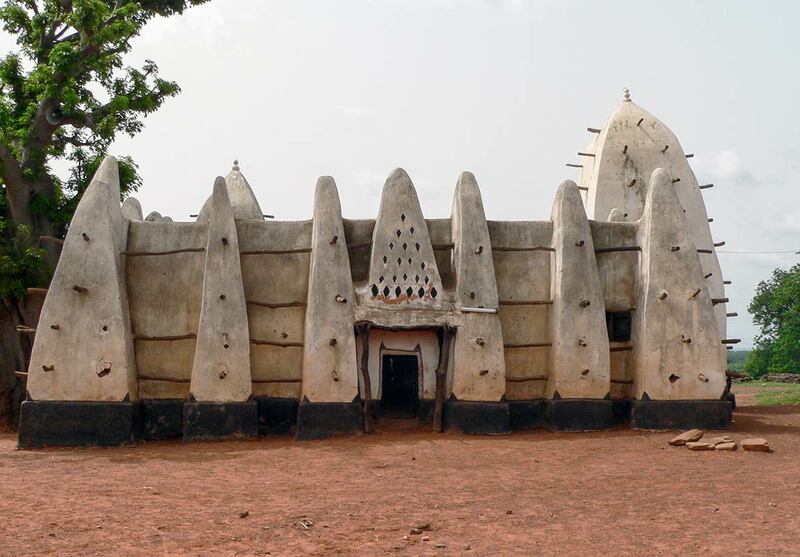 Sahelian mosque in Larabanga in West Gonja district, near Mole National Park. 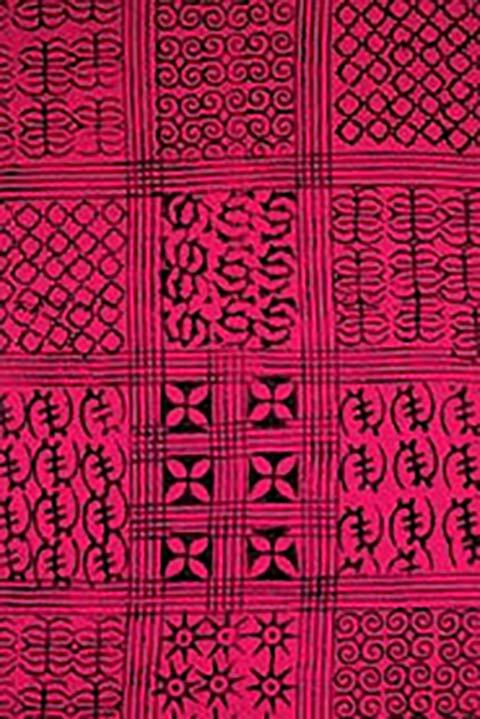 About Adinkra symbolism as a visual representation of social thought relating to the history, philosophy and religious beliefs of the Akan peoples of Ghana and the Gyaman people of Cote' d'lvoire. Asanteman - The Ashanti Kingdom, The Ashantis are one section of the people known as the Akans in Ghana. Web Page devoted to two small communities in Northern Ghana. The latest about popular Ghana music. Shasha Marley is a great singer and lyricist from Ghana, he has used his music to promote social, political and medical change throughout Africa (Listen to Twin City Mafia on YouTube). African Art, African Artists, Artisans, Designers. Official Website of the Ghana Football Association. Ohene ko hia - The king is gone to the harem. 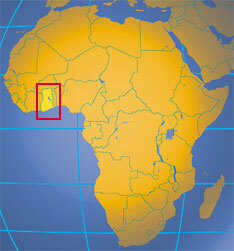 Ghana is Africa’s second-biggest gold producer and second-largest cocoa producer. The country is rich in diamonds and oil, but Ghana is locked in a dispute with Cote d'Ivoire over ownership of maritime oil fields, a final ruling from an international court is expected in 2017. The country has a negative trade balance, it imports more than it exports. Top exports of Ghana are gold, cocoa products and crude petroleum. The GSE aims to become a relevant, significant and efficient vehicle in mobilizing and allocating long term capital for the economic development and growth of Ghana. Government agency which encourage, promote and facilitate investments in all sectors of the economy except mining and petroleum. Ghana International Airlines (GIA) was the national airline of the Republic of Ghana until 2010. Ghana Airways was the national airline of the Republic of Ghana until 2015. Airline based at Kotoka International Airport, Accra. Ghanaian airline serves domestic routes with an Embraer 145, a regional jet aircraft. Goldstar Air plans to launch flights to both regional and long-haul destinations. The Ghana Railway Development Authority with the Ministry of Transport has formulated a master plan aimed at revamping the almost dead railway sector. Currently, out of the 947km track length, only 130km is operational with freight services as well as some passenger service. 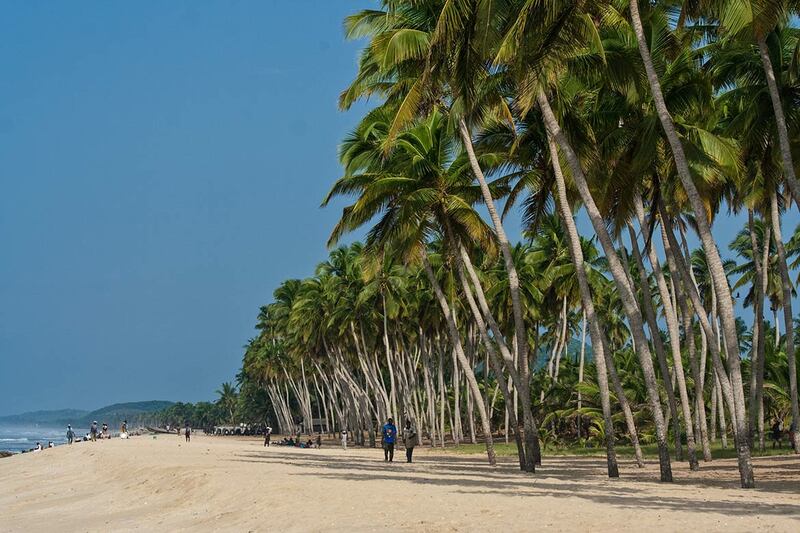 Lagoon Beach in Winneba (Simpa), fishing port in south Ghana in Effutu District. Mole National Park, Ghana's largest wildlife refuge. Kyabobo National Park. Volta River. Wonder Islands. Fort William in Anamabu. Find accommodation, hotels, attractions, festivals, events, tourist boards, drumming and dancing, tours and much more. Official Site of Ghana Tourism with comprehensive information on tourist attractions, travel information, events. Ghana information by Africa Online. A Ghana portal with news and information on Ghana. Kumasi, Ashanti, Ghana - the city of Kumasi's website. 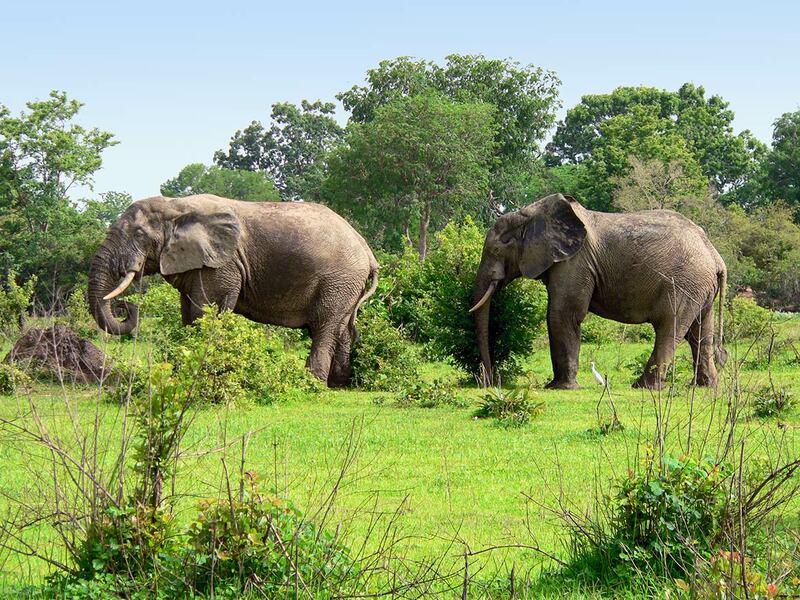 Elephants in Mole National Park, Ghana's largest wildlife refuge. Information about the educational system in Ghana. KNUST a centre of excellence in Africa for teaching in Science and Technology. The University of Cape Coast was established in 1962, one of the rare sea front Universities in the World. The university of the nation. 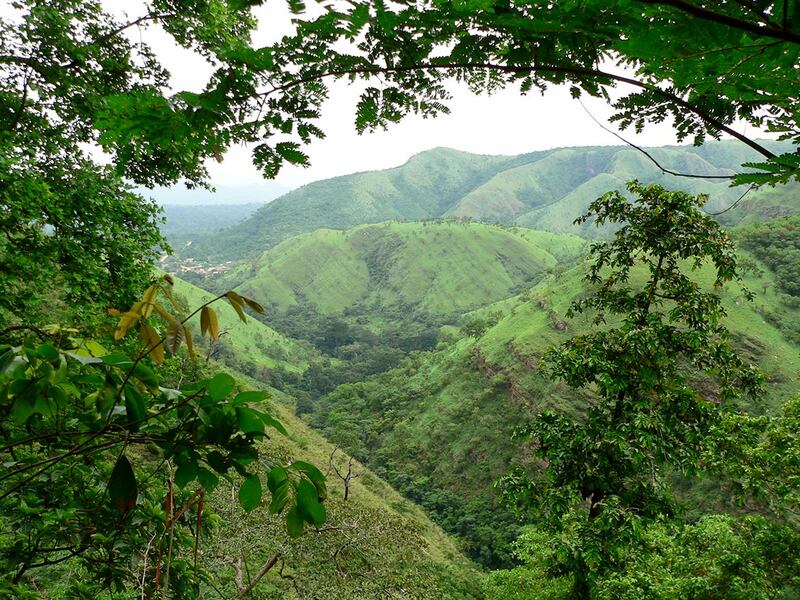 Hills in the highlands of Ghana's westen region. Significant environmental issues are deforestation, overgrazing, soil erosion. There are droughts in the north. Poaching and habitat destruction threatening Ghana's wildlife populations. Also a problem is water pollution and inadequate supplies of drinking water. Government institution dedicated to continuously improving and conserving the country's environment. Wikipedia article about the meta-ethnicity and ethno-linguistic group Akan. Short History of the Gold Coast. History of the Empire of Wagadugu. Ghana web directory index of Ghana related Websites.